I’ve come to realise that I don’t have a guilty pleasure because I have no shame at all in my choice of music or television – I’ll tell you all about my favourites with no hint of guilt whatsoever! I’m well known amongst my friends for my taste in cheesy music – “Build me Up Buttercup” is known as my song (although, I can’t recall the reason why!!) and I regularly have Whitney, Celine and Mariah on my ipod (as well as Disney, but, you know, that’s for Alfie 😉 ). At our wedding, we had a dubstep set for Craig followed by a cheesy set for me – just to show our completely different tastes in music! 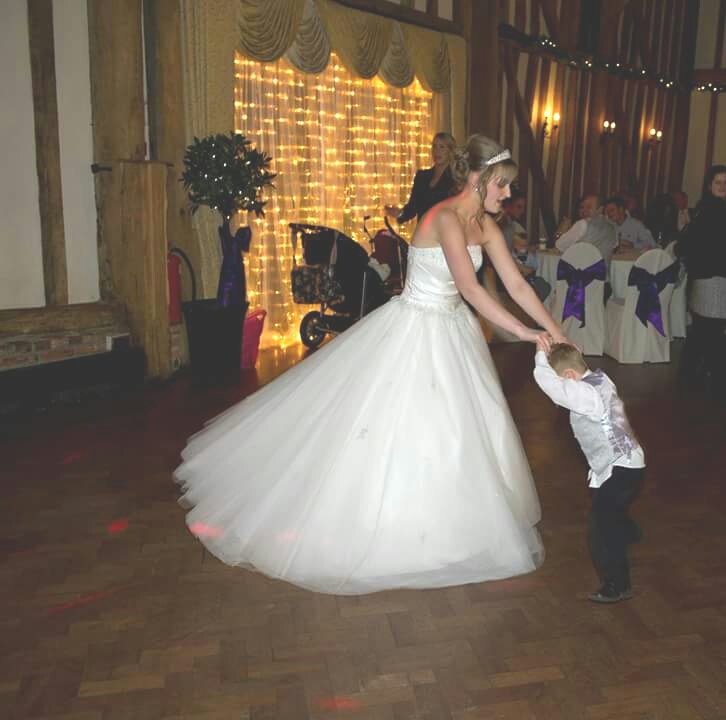 My nephew and I having a boogie to something cheesy! But I have no shame in admitting my terrible taste in music – I know what I like, and I like what I know! The same goes for TV – 16 and Pregnant and Teen Mom are my favourite tv shows! I am pretty sure I have seen every episode and have followed the stories of all the mums pretty much from the start (Caitlyn and Tyler are my favs). I also watch anything baby related – Sky did a programme about 3 couples having a baby and how it changed their lives (I can’t for the life of me remember what it was called though!) and I’m a regular watcher of One Born Every Minute. I also loved the recent BBC documentary about the Portland Hospital – I’d so have my baby there if I could afford it! !